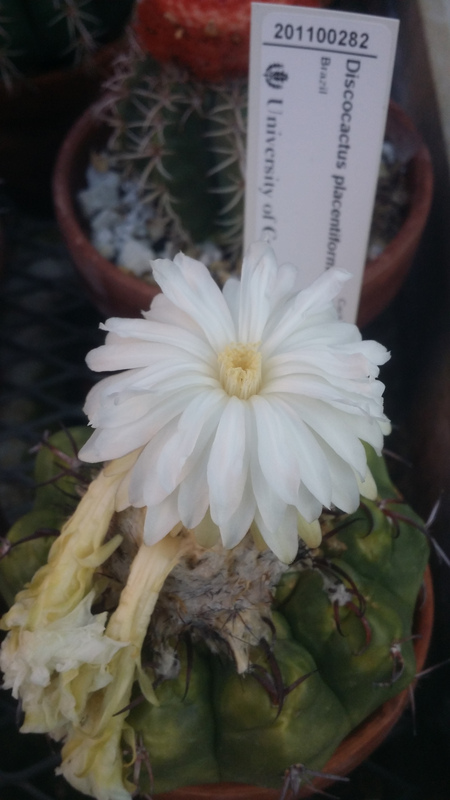 Discocactus placentiformis (Lehmann) K. Schum. 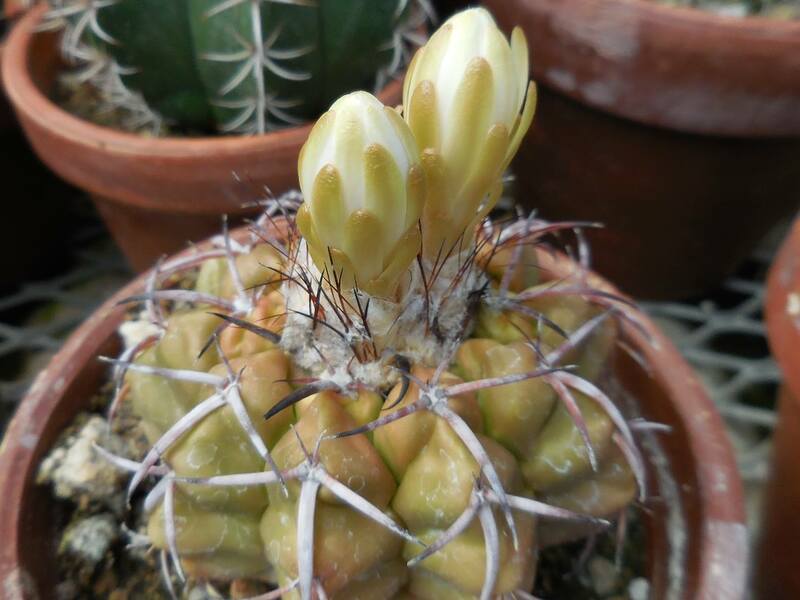 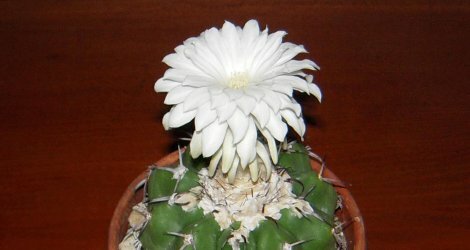 Description: Small globular cactus, with white, fragrant flowers borne by a terminal cephalium. 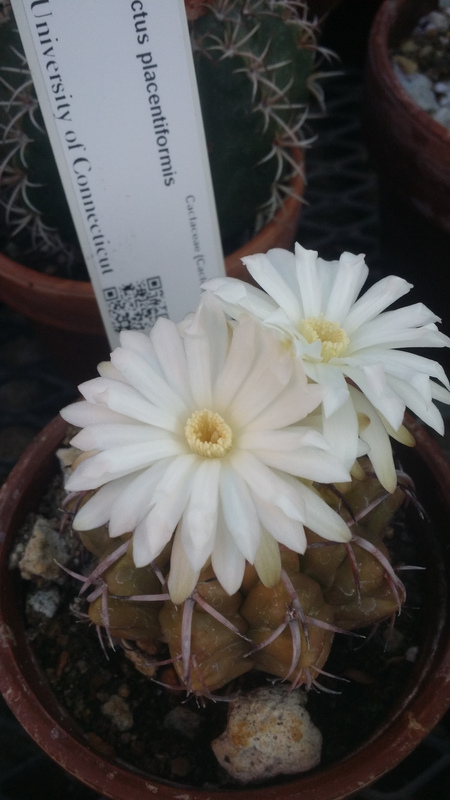 Provenance: Acquired as D. crystallophilus from CSSM show. 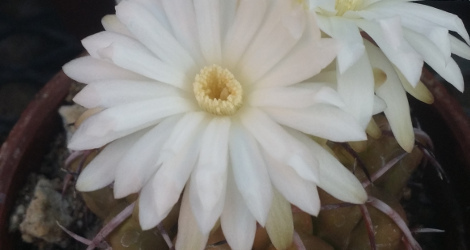 Plants from C&J Cactus nursery in Vista, Ca.